Some people choose to lose weight to have better health or look stunning at the pool. 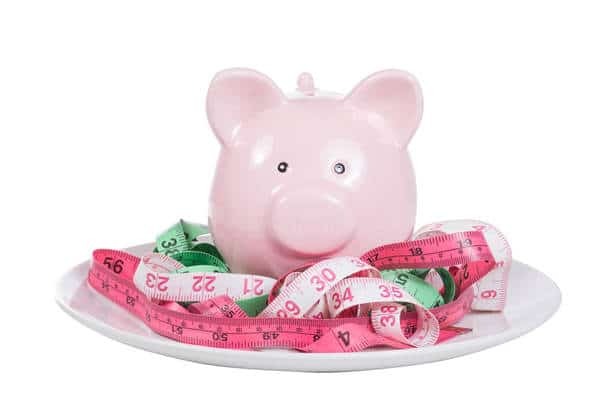 Did you know there is a financial reward for losing weight? Now that obesity is affecting more than 72 million adults in the US, the Centers for Disease Control and Prevention are researching the link between extra body weight and diabetes and heart disease. The CDC found that an obese person has almost $1,500 more in medical costs each year than someone in a healthy weight range. Being overweight increases your risk for many health conditions resulting in more visits to the doctor’s office and more medications. Barbara O’Neill, a professor and specialist in financial resource management at Rutgers University, says “studies have found that discrimination based on weight in the workplace is more prevalent for women than men, especially white women in professional occupations.” Although many people wouldn’t associate wages and promotions with obesity, there is definitely a correlation, especially in a tough economic environment. Don’t procrastinate on your weight loss. The best time to start is right now! Let your wallet gain a little weight while you start transforming your life and your health. Dr. Urshan’s proprietary weight loss system has been proven effective and costs less per pound lost than many of the most popular weight loss programs on the market today. Wanna smile again? Schedule a FREE consultation with our team at Dr. Urshan Health and Weight Loss Center today.